Retrochallenge 2012 has come to an end, so this is a catchup post of the mainly Dreamcast related foolery over the past week. 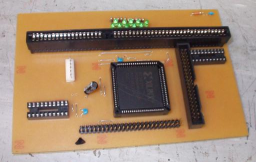 Quite some time ago Kiyoshi IKEHARA designed a DCEXT board enabling connection of an IDE disk and an ISA (typically network) card to NetBSD/dreamcast, (I believe Izumi Tsutsui wrote the code). The patches never made it back into the main NetBSD tree and have just been maintained by Izumi. Now someone is trying to add support for it to DreamShell, an alternative gaming OS for the Dreamcast, so I found a copy of the patches for netbsd-5, tweaked them for current, built a test kernel posted it to their forum. Elsewhere in my world of retro-challenge I still don't have public IPs for wopr (VAX) and orac (Dreamcast) after the office move, so wopr is very lonely on an internal network and orac is at home (where at least I can poke at it). I had a play with telling NetBSD to add unused video ram to the normal kernel memory. Works perfectly on gxemul, but real hardware was a little pickier, so that it going to take some more work (if its possible). Nick Hudson posted me a Dreamcast serial cable he was now longer using, which enabled me to find out that getty and remote are *really* fussy about using a read-only /dev, so I'm probably going to have to switch my live CD to use the standard tmpfs /dev trick. That is annoying to the tune of around 300K of wasted memory, but not the end of the world. My current "goal of randomness" is to get the live CD to show a prompt in an xterm. Thats readonly-root-on-iso9660, with misc tmpfs & union mounts, running multi-user in 16M without swap, with the X server and one xterm running. I've tested it on root-on-nfs without swap, so I think it should be doable... just. I wonder if I should add an option to dc-burn-netbsd to create a root filesystem suitable for testing over NFS - to avoid a fresh coaster per test (and the feeling that I can hear the Dreamcast CD seek mechanism expiring before my ears). 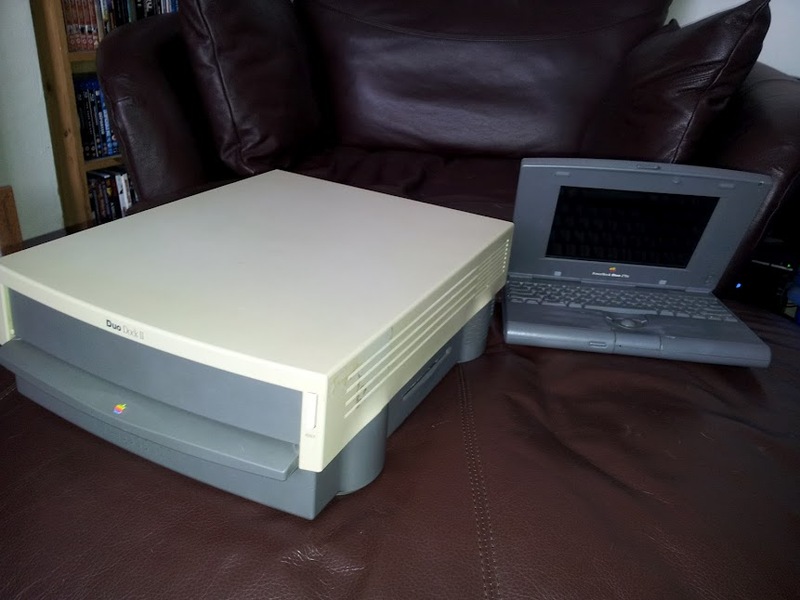 As if the VAX & Dreamcast retro-madness isn't enough I've just collected a PowerBook Duo 270c from someone who ran out of space. 12M RAM, 240M disk, 68030 & a 9" 640x480 screen. Its so *tiny* and cute that I actively want to do something useful with it, unfortunately its only I/O consists of two serial ports and a dock connector. Do not make Dock angry. Dock crush! 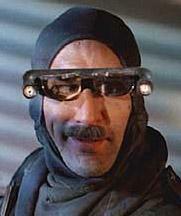 There is a beautiful scene from the film Brazil, where Robert De Nero - playing a renegade special forces equipped air conditioning engineer - pulls out a tiny component and says "thats your problem". When asked if he can fix it he says "no, but I can bypass it with *this*" and proceeds to take from his bag what can only be described as a cross between a cybernetic cthulhu and the spinal column of a robot made from valves. I look at the tiny Duo 270c and the across at the docking station from hell, and think... "Thank you Robert, that will do just fine". I've used your dc-burn-netbsd to build the raw files on a NetBSD box and then I used cdrtools from pkgsrc on my Mac to burn them to a CD-R and it worked just fine. A but clunky, but fine. Instant wifi - just add "Edimax EW-7811UN"